There is an award application process that requires submitting an abstract for poster presentation, even if abstract has also been submitted for oral presentation (speaker abstract), by the general RSA poster abstract submission deadline. Additionally, applicants will need to write and submit an extended abstract by the Enoch Gordis application deadline that provides further details about their study and a letter (students only) from their mentor confirming their eligibility. Detailed instructions are available below. Finalists will be required to present their research during a poster session and paper session. Finalists are chosen and their presentations are judged by members of the Education Committee. The awardees are announced during the Closing Ceremony at RSA. Applications are posted in mid-October and remain open until early-January. There are 4 – 5 awards (monetary and plaque) presented. The final decision on the number of awards will be determined by the number of applications received in each category and the quality of the work represented. All students and eligible postdoctoral fellows are encouraged to apply and finalists will be required to present their research during a poster and paper session. Only one application per person and per abstract may be submitted. POSTDOCTORAL FELLOWS: Must not be more than 5 years past PhD or MD at the time of the conference. Note: Receiving a Student Merit / Junior Investigator Award does not preclude you from receiving an Enoch Gordis Research Recognition Award. You may apply for both awards. 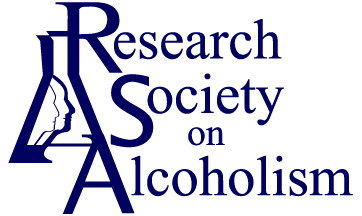 The Gordis Application site opens when the RSA abstract submission site is opened. The Gordis submission deadline coincides with Poster Abstract deadline. Original abstract submitted to RSA for poster presentation; including title, authors, affiliations and abstract. For a Gordis application, a poster abstract submission is required even if abstract was also submitted for oral presentation (speaker abstract). When relevant, certain information that is standard for abstracts should be included: sample sizes, statistical methods and levels of significance, and quantitative comparisons (for example, if you measured a change in something, how much did it change?). An expanded version of your abstract - maximum 900 word count, including an Introduction that outlines the significance of the research, a Methods section, a Results section and a Discussion section. Figures, charts and tables should not be included. When relevant, the information that is standard for abstracts should be included: sample sizes, statistical methods and levels of significance, and quantitative comparisons (for example, if you measured a change in something, how much did it change?). Abstract References - maximum 300 word count. Students Only - Verification letter from advisor for pdf file upload. The letter must include advisor's email address, confirm you are a graduate student and can be expanded to include your recent research activities.